Peaked at #7 on my personal.<br><br>Came in at #85 on my TOP 200 OF 2010.
ja als je toch al een hekel aan Nelly hebt, dan wordt dit nooit wat natuurlijk. Toch bedankt voor het proberen!<br>Een kleine aanpassing! Het dromerige wat dit nummer heeft, vind ik toch wel oke! 1 ster extra! "If you ever loved somebody put your hands up!<br>And now they're gone and you wish that you could give them everything. "<br><br>Das übliche jammrige Gesülze, wenn das "Baby" weg ist, weil man sie halt doch nicht genügend gliebt un hofiert hat. Aber ich muss gestehen, dieser Song hat es mir völlig angetan. Herbst 2010 trägt den Nelly-Stempel. 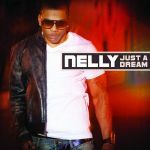 nelly's definitely back.<br>very good song!! A return to his best form has this song rated highly.<br><br>Ranked #7 on my end of year best songs of 2010.